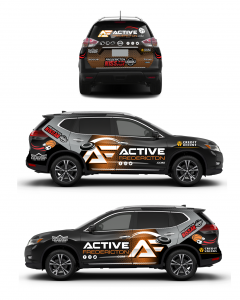 Active Fredericton Vehicle Wrap | Cap City Creative - A Digital Creative Agency In Fredericton, NB. 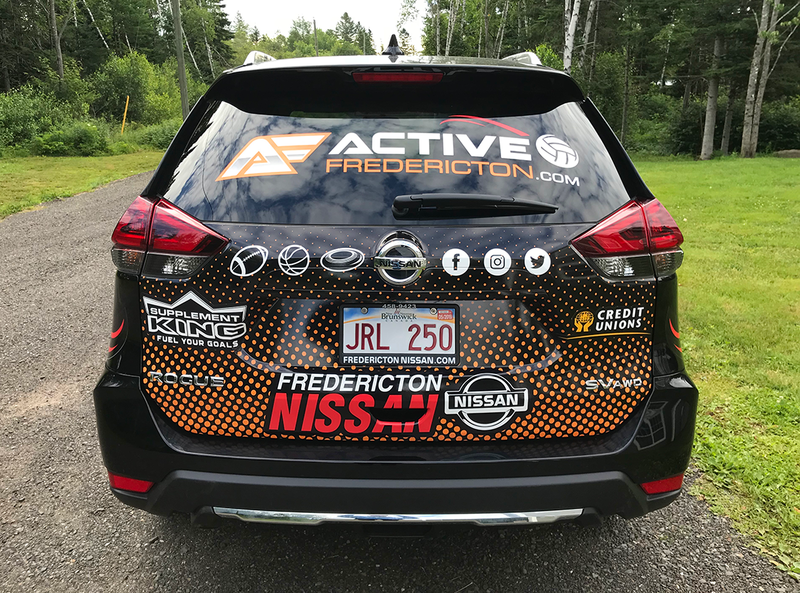 Recently, Cap City Creative Co. completed a partial vehicle wrap project for the local sporting organization, Active Fredericton. 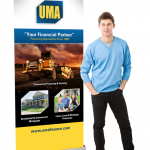 The goal of this project was to create a design that would incorporate a number of different sports that the organization offers to it’s members as well as provide space to help promote their sponsors. 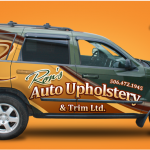 After polling their social media networks with a few primary colour concepts to see which ones the masses preferred most, it was decided to go with the vibrant orange which really sets off the design against the dark black paint color of the vehicle itself. 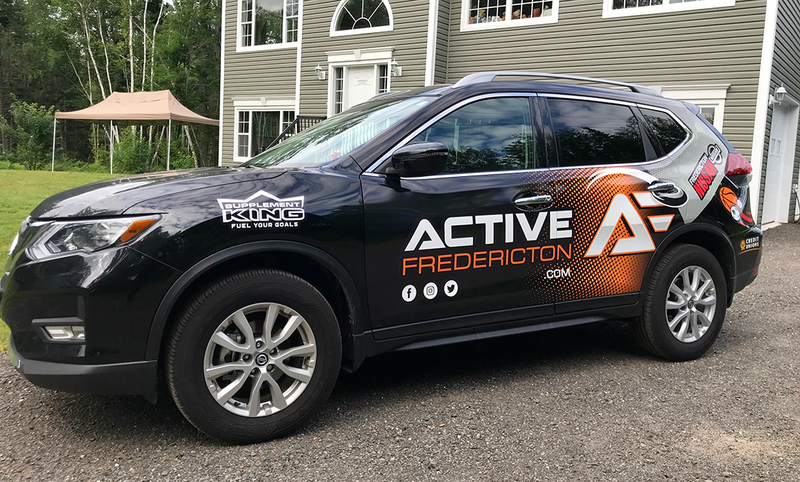 A huge thank you to Andrew O’Hara of First Impressions in Durham Bridge, NB for the printing and installation of this project which he worked long and hard at to meet the deadline… As well as a big thank you to Active Fredericton for allowing the freedom to come up with a concept that would allow us to tie in the new branding we developed for the group. 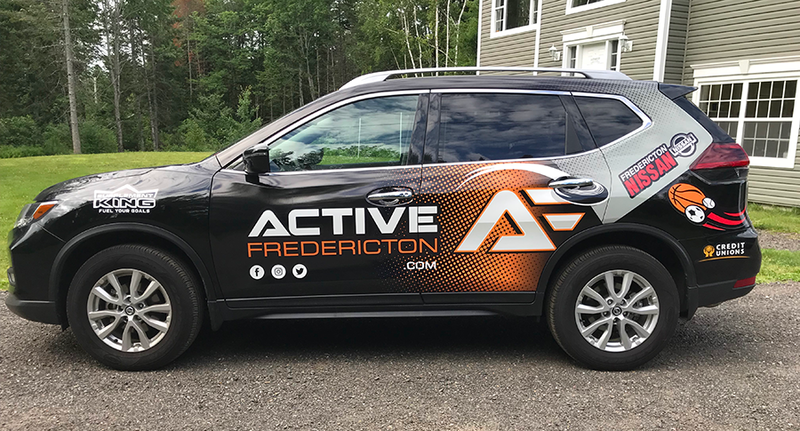 We look forward to seeing the new look Active Fredericton wrap throughout New Brunswick. 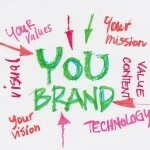 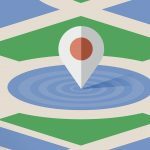 Is Your Business Making the Right Advertising Choices?